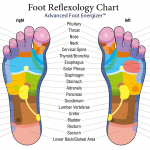 Thank you for purchasing the Advanced Foot Energizer. We believe regular use of this product is beneficial for muscle performance and rejuvenation. Please read the user manual carefully and have it readily available for referencing. 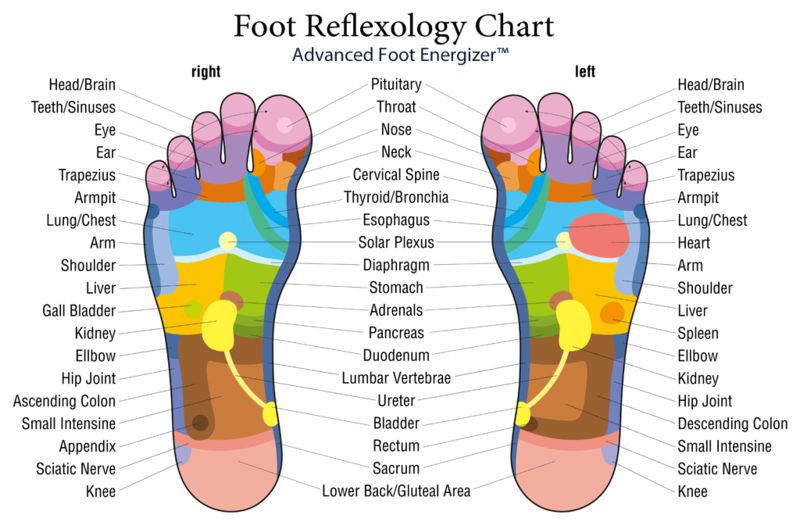 We hope you enjoy your Advanced Foot Energizer and will share your experience with friends, family, and co-workers. Consult your doctor if you have a continuing medical condition before using this device. Read the instruction manual carefully before you begin using the Advanced Foot Energizer. It is important that you read and understand the “Precautionary Instructions” and “Warnings” sections of the instruction manual. 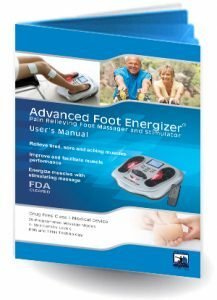 Do not use the Advanced Foot Energizer foot massager and electrical muscle stimulator if you are have a pacemaker; do not use on vital parts, such as carotid sinus nerves, across the chest, or across the brain; use caution in the use during pregnancy, menstruation, and other particular conditions that may be affected by muscle contractions; potential adverse effects may include skin irritations and burns. Do not use if you are being treated for, or have the symptoms of, an existing Deep Vein Thrombosis (“DVT”). Symptoms of DVT (blood clot) may include swelling and tenderness in one of your legs (usually calf); heavy ache in the affected area; warm skin in the area of the clot; redness of skin (often at the back of leg below the knee). Consult your doctor if you have signs of DVT symptoms.